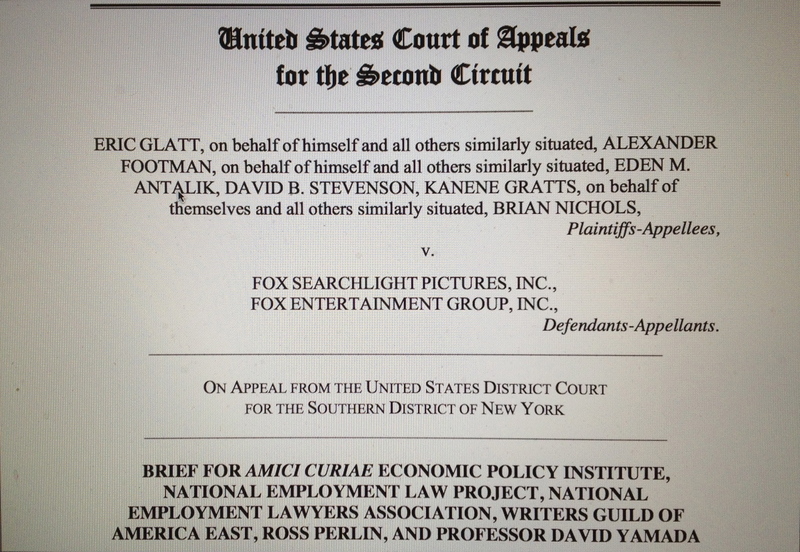 On Friday morning, the U.S. Court of Appeals for the Second Circuit will hear oral arguments in two cases involving the legality of unpaid internships, Glatt v. Fox Searchlight Pictures and Wang v. Hearst Corporation. Both cases are on appeal from lower court rulings. The Second Circuit, which sits in New York City, is one of the nation’s most prominent federal appellate courts. Its decision will apply to the many New York employers that hire interns and will influence courts in other parts of the country that are deciding wage claims brought by unpaid interns. 1. What legal standard will be applied to employers who seek exemptions from minimum wage laws for interns? 2. What legal standard will be used to certify class action lawsuits on behalf of unpaid interns? We can expect a decision on these cases sometime this spring. As long-time readers of this blog know, I’ve been writing about the intern economy and legal issues concerning the widespread practice of unpaid internships for many years. In addition, for the Glatt and Wang cases, I signed onto “Friend of the Court” (a/k/a “amicus”) briefs submitted by the National Employment Law Project in support of the interns pursuing these claims. A couple of weeks ago I enjoyed a long conversation over lunch with John-Robert Curtin, an educator, conflict resolution specialist, and media executive who is dedicated to fostering better workplaces. During the course of our conversation, J-R (as he likes to be called) repeated a question that has stuck with me, because it transcends so many societal settings, ranging from the workplace to international relations: When did people become disposable? In the employment realm, disposability continues to manifest itself in so many ways, especially during this era of the economic meltdown, the effects of which continue to haunt average folks despite the performance of the stock market. Whether we’re talking large-scale layoffs while CEOs collect year-end bonuses, workers bullied or mobbed out of their jobs by co-workers, or horrific working conditions for those toiling in developing countries, this dynamic is very much a part of our modern systems of employment relations. The International Center for Compassionate Organizations is a nonprofit organization registered in the Commonwealth of Kentucky, USA. The International Center focusses on fostering cultures of compassion in government, business, healthcare systems, service agencies, colleges and universities, schools, faith groups, and other organizations worldwide. The Center responds to the emerging trend among a broad range of organizations seeking to incorporate compassion as a value and practice in their relationships with their staff, colleagues, board members, customers, and communities. The Center develops practical research, resources, education, consulting, coaching, and conferences. It takes a nonpolitical, evidence-based, and public health approach, and assists organizations to effectively improve employee engagement, productivity, staff retention, profitability, and customer satisfaction. Later this year, J-R and I will be presenting on a panel on coaching as an intervention strategy for workplace bullying (with Ivonne Moreno-Velazquez and Jessi Eden Brown) at the biennial “Work, Stress and Health” conference, co-sponsored by the American Psychological Association, National Institute for Occupational Safety and Health, and Society for Occupational Health Psychology. This year’s conference will be held on May 6-9 in Atlanta. Soon thereafter fate provided me with two reasons why I should read them again: a new president at the community college where I worked who made Attila the Hun appear weak and timid, and foot surgery that had me in crutches for four months. I finally returned to the journals to keep my mind away from the workplace bully and to forget that I wasn’t easily mobile. 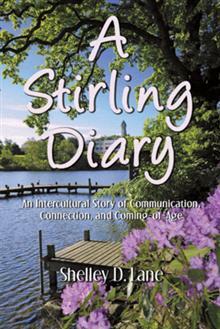 Some 20 years after her sojourn abroad, she found in those journals “entries written by a young woman who was in the midst of a personal transformation.” Thus would emerge A Stirling Diary, a reflective travelogue that concludes with her return to the U.S. and her departure for graduate school. For some, delving into a positive, engaging, and immersive activity may serve as a healthy alternative to ruminating over a terrible work situation. 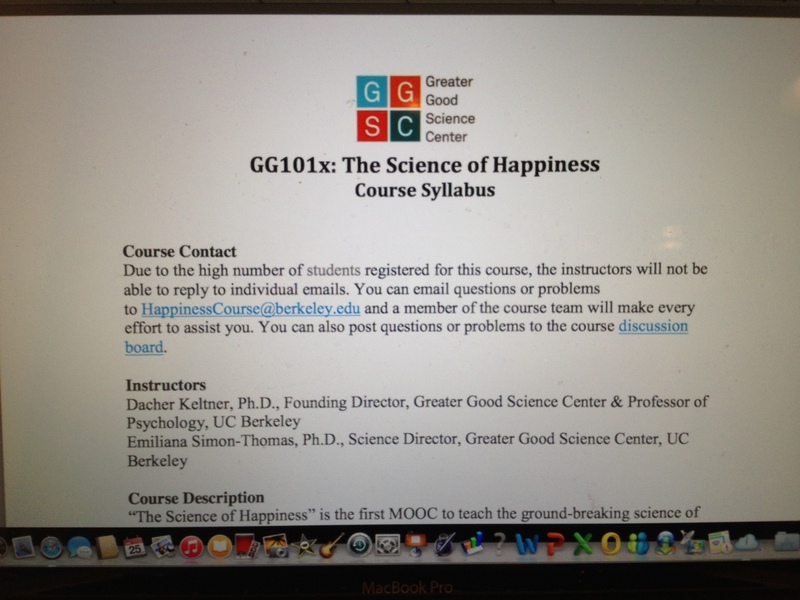 This may be in the form of a hobby, a personal project, an avocation, volunteer work, or creating a side business. Shelley Lane did just that as she stepped back in time with her study abroad journals in the midst of her experience with workplace bullying. Therapy or counseling, and mindfulness activities such as yoga or meditation, may be helpful for coping with bullying at work. In addition, consider the possibility of a meaningful, life-affirming endeavor in which you can lose yourself in a good way. I emphasize words such as meaningful and immersive. I am well aware that this is not as simple as picking out a hobby or pastime from some random list. (In this context, “Why don’t you try collecting coins?” is about as helpful as “You need to get over it.”) Rather, it’s about connecting to a positive activity decoupled from work. It will not address the bullying itself, but it may well provide a safe and enjoyable space away from it. For Dr. Lane, the story continues toward a good ending. She would leave her position at the community college and land on her feet, obtaining an appointment as an associate dean and professor at the University of Texas-Dallas, her current employer. By the way, I was working on a second writing project while putting together A Stirling Diary. I knew that the only way I could be hired at a university was to have a publication. At this point, I had quite a few articles published, but a book was my ticket out of [the community college]. So on some days I worked on my memoir and on other days I worked on my interpersonal communication textbook. I recall being “in the zone” as I worked on these projects, which was crucial to my mental health. Any time my mind was not engrossed in project or activity, I’d think of Cary [ed. note: Her tormenter] and how I was treated unfairly. Logically, I knew that the cortisol streaming through my system was harmful, but emotionally I couldn’t stop myself from becoming furious whenever I thought of Cary. The books most definitely helped me cope, and the textbook helped me land the job at UT Dallas. In Shelley’s case, not only did she immerse herself in a project that took her back to a very meaningful time in her life, but also she worked on a second book project that helped to open the door to future opportunities. Equally important, the warm and spirited tone of our e-mail exchange tells me that Shelley has bounced back, replete with a good job at a better institution, and with life, mind, and soul in a better place. For those who have experienced severe bullying at work, this type of recovery and renewal is the gold standard. Last Friday afternoon, I could barely keep my eyes open as I tried to get some work done on my computer. I was still feeling the heavy drag of a bad cold that has been doing a number on me. A short walk around the office didn’t help much. Even two cups of black coffee weren’t delivering the desired pep in my step. With very little gas left in my tank, I clicked to my iTunes songs and opted for a play list of favorite 80s tunes. Almost immediately, I felt a surge of energy coming back. Nothing like a few numbers by Duran Duran and The Clash to recharge the batteries! While it won’t rank as one of my more productive Friday afternoons, I got much more done than I thought possible when I could hardly control my drooping eyelids. I probably could chase down some studies showing how music has this effect on people. But I don’t need the peer-reviewed articles to tell me what I’ve experienced over and again: Music can be a great tonic. It can be the pick-me-up that allows one to salvage some productivity from an otherwise low-energy day. 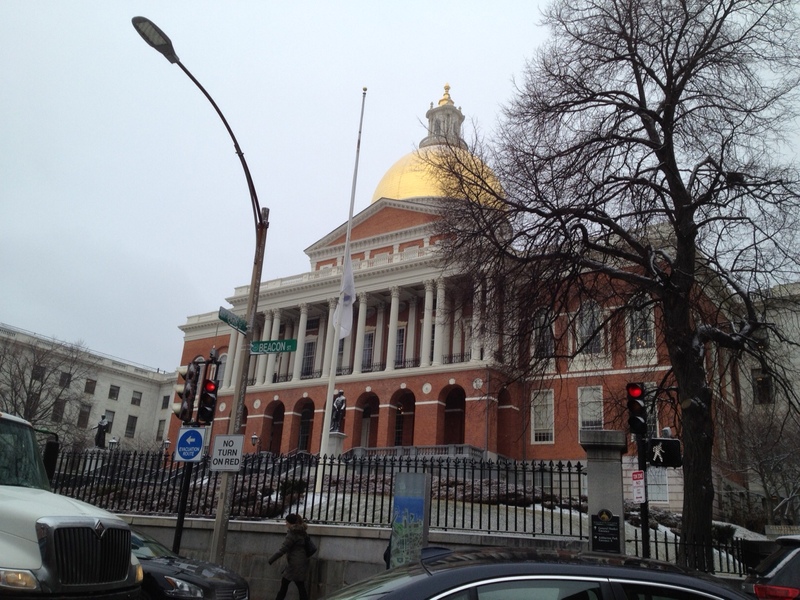 This morning I joined advocates from across the Commonwealth at the Massachusetts State House for Legislative Co-Sponsorship Day, to generate support for workplace health and safety legislation, including the Healthy Workplace Bill (HWB). The event was organized by our friends at the Massachusetts Coalition for Occupational Safety and Health (MassCOSH). We’re in the process of reintroducing the Healthy Workplace Bill in the 2015-16 session of the Massachusetts legislature. Rep. Ellen Story (D-Amherst) is once again our lead sponsor. At the MassCOSH event, we were among a dozen or so organizations that had tables in the Great Hall of the State House, and we were able to talk to many legislators and staff members. We had 39 legislative sponsors and co-sponsors last session, and we’re looking to grow that number during the bill filing season this time around. Pictured below are Greg Sorozan and Lisa Smith of SEIU/NAGE, the public employee union that has played an invaluable lead role in helping to organize support for the Healthy Workplace Bill in the Bay State. 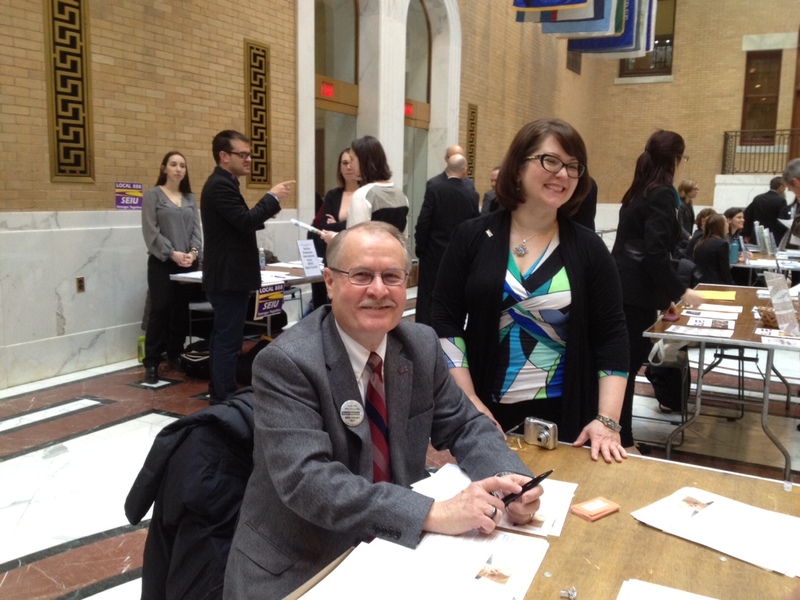 In addition to serving as union president, Greg is a co-coordinator of the Massachusetts Healthy Workplace Advocates. Lisa also has been a staunch supporter. Jim Redmond and Ray McGrath, two veteran lobbyists for the union who have been instrumental in working for the HWB in the State House, were also at the event to help us reach out to legislators and staff members. I enjoy being around these folks because, among other reasons, they bring a resilient, steadfast commitment to advocating for workers that extends well beyond a single legislative session. As politically savvy advocates for workers, they know that legislation such as the HWB typically does not get enacted overnight. They embody the title of this blog post: If you truly believe that we need workplace bullying laws, then you keep plugging away until it happens. Indeed, there’s no other way to do it. The legislative process is unpredictable and challenging. It requires infinite patience and, when things start moving, an ability to respond quickly. Those who are new to this world — including a lot of workplace bullying targets who suddenly find themselves supporting the HWB — often ask why it takes so long to enact legislation whose merits appear to be so self-evident. They need to understand, however, that we are competing for time and attention with thousands of other bills, of which only a fraction will become law. Each legislative session hopefully brings at least incremental progress, and that’s what we’ve been able to do in Massachusetts. We no longer have to explain ourselves in nearly as much detail as when we first introduced the HWB three sessions ago. The bill has gained a familiar presence in the State House, and we’ve got a core of legislators who are committed to co-sponsoring it. And we’re attracting more and more support from worker advocacy groups and everyday citizens who press their case upon our elected officials as well. So, if you want the HWB to become law, then we need you to sign up for the long haul. It means going back to the State House, making those calls, and sending those e-mails, as many times as it takes. We keep getting closer and closer to success, but only continued commitment and perseverance will make it happen. Massachusetts residents: If you support the HWB, you may contact your state representative and state senator, and ask them to co-sponsor Rep. Ellen Story’s workplace bullying bill, House Docket 2072 (an official bill number will be provided later). The deadline for co-sponsorship in the House is January 30; the deadline for the Senate is more flexible, but we’d like to get as many Senate co-sponsors by that date as possible.